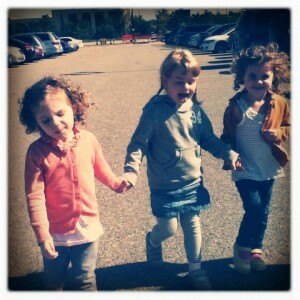 Do you remember when you were little and someone would say to you “Let’s be friends”? That usually meant you had someone with whom to play, eat ice cream and have sleepovers. You could giggle with them, cry with them and tell them your darkest secrets. Some people had lots of friends and some had few. No one really kept count outside their own circle. It didn’t matter. As you grew, those friendships changed. You had the friends that you played sports with and the friends you could vent to about your parents. You grouped them, mentally or physically, by the relationship you had with them. In 2004, Facebook emerged and well… changed the face of friendship. When the social network began, there was only one option as a relationship and that was ‘Friend’. It wasn’t until 2011 that they introduced ‘Close Friend’ and ‘Acquaintance’. So what did it mean to be a someone’s Friend? In some cases it was your real friends and relatives that live far away with whom you wanted to share your life. But in most cases, it was people you knew years ago and wanted to reconnect with. Maybe it was people you work with. Maybe people who go to your school that you never met. The bottom line is that the definition of ‘friend’, in Facebook terms, has changed. Below is a chart illustrating the average number of friends a Facebook user has depending on their age. 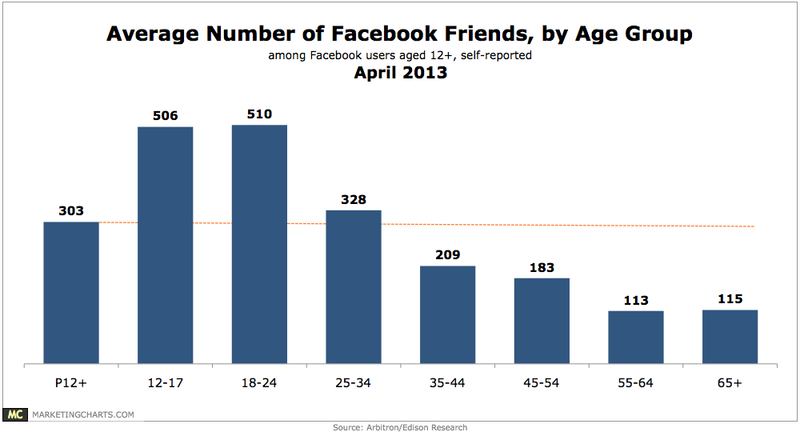 What amazes me about this chart is that the number of friends one has is so much higher at a young age. In my lifetime, I have attended High School and University. I worked an annual summer job for several years. I worked several co-op terms, part-time jobs and full-time jobs. My Facebook friends fall in to one of many groups of people that I have crossed paths with, most of whom I met after I turned 16. So how are kids more than 15 years my junior racking up lists of Friends that nearly double those in my age group? Simple, they are not really friends at all. It has become a competition to see how many friends you have and Facebook’s got the number printed for all to see. From a privacy perspective, this really scares me. That means that kids are not just ‘over sharing’ with people they know, but they are also divulging all their information to a bunch of strangers. Adults are no exception mind you, just statistically less likely to have strangers on their list. When discussing Facebook privacy I often ask people to pinpoint their most personal status and their most personal picture. Perhaps it is a picture of you in a bathing suit and a comment about how you love the fit of your new jeans. Now pretend you are in an auditorium filled with every one of your Facebook friends. You are wearing that bathing suit. You take the stage, and once the audience is silent, you read your status out loud. Uncomfortable? Think about it. If the answer is Yes then you need to change your picture, your status, your audience, or maybe all three. I am handing out homework today: find that personal status, post or image and put it in the back of our head. Now review your Friend list and anytime you feel embarrassed to have shared with that person, remove them or change their status to “Acquaintance”.